User Interface (UI) design is an important part of an app. Color (or colour in British English) is an important part of a UI. A color picker can be used to customize or edit an app theme or UI. Plus they can be used for artistic apps. 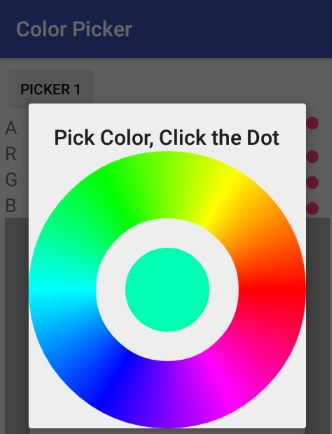 This tutorial provides an Android Color Picker example app, but not just showing one way. Two ways are provided in this article and lots of color pickers are available around the web. How is an Android Color Defined? Because an Android color is just a combination of four bytes a simple color picker can be made with four Seekbars dropped on to a View. Then take the value from the Seekbars and convert them into a color using the Android Color class. The Android Software Development Kit (SDK) used to ship with many demo apps. One of the most useful was the API Demos project. The API Demos covers many core Android classes. It features graphics examples and one of those has a color picker dialog. 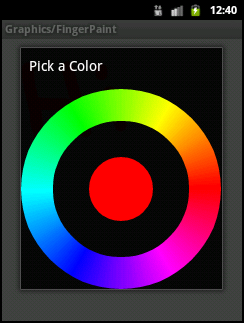 There are lots of free color pickers available for Android. Many with more features than the ones shown here. 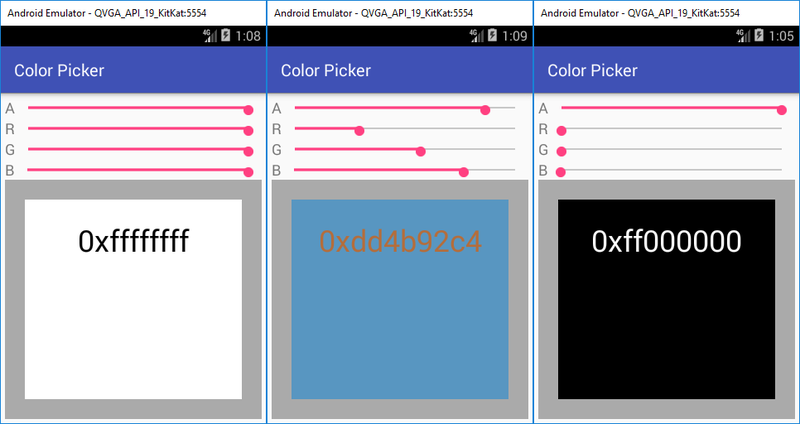 Browse for an Android color picker on GitHub to find one suitable for your project, if the simple ones shown here are not up to the job. Color is only one small part of UI design. A good UI makes an App more pleasurable to use and engaging. See the SeekBar Android Example Code and Tutorial article for a SeekBar example. See the Android Example Projects page for more Android Studio sample projects with source code.